Lucille Ball started her acting career in the movies as a “glamour girl.” Films such as Ziegfeld Follies in 1946 showcased her beauty. However, it was her role as Lucy Ricardo in the hit television series I Love Lucy that aired from 1951-56 that she created with her husband Desi Arnaz that highlighted her natural physical ability and genius for comedy. This show made her a huge star. Episodes from all 3-television sitcoms that Lucille Ball starred in are still shown in syndication around the world--which is a tribute to her talent. When Lucille Ball died during surgery on April 26, 1989, at the age of 77, she was still living in her home located at 1000 North Roxbury Dive in Beverly Hills, California. 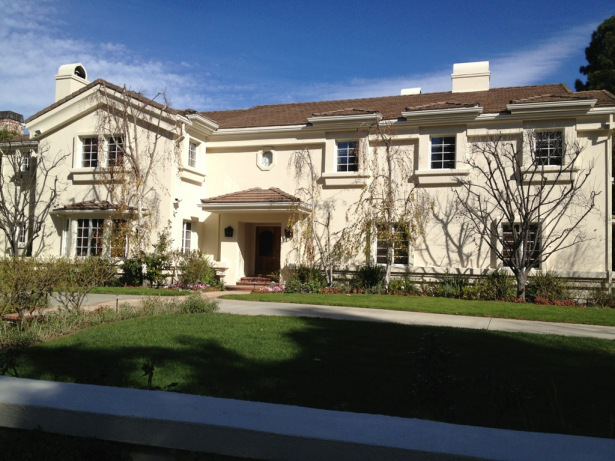 Lucille purchased this home when she was married to her first husband Desi Arnaz. What Lucille Ball house looked like. Gary Morton, Lucille's second husband sold the house several years after her death. The new owners had the house torn down. A friend of Lucille's drove past the property to see the home one last time. Walls were missing and he could see Lucille's old bedroom. He then noticed a tall, slim redhead peering through the fence at the what was left. She turned toward him and he realized it was Lucy. She looked upset and confused. She then walked around the south corner of the house and disappeared. Despite the fact, Lucille's home was destroyed there still have been reports of a number of strange happenings. It is felt Lucille Ball’s ghost haunts the new home that replaced hers. Most of the activity occurs in the attic. Lucille‘s ghost is said to be playful but seldom intrusive. It appears she hangs around because she loves her old neighborhood. Her ghost is sometimes impulsive. One recent owner of the Roxbury home stated that her ghost spends a lot of time rearranging furniture and boxes that are stored in the attic. She has never physically damaged anything but a variety of noises have been reported emulating from the attic. One witness claimed she heard the sounds of a party going on upstairs. Another witness, a family member of the new owners stated she heard the I Love Lucy theme song playing softly in the attic--she heard this song on more than one occasion. What new home looks like. The home was put up for sale in 2010. 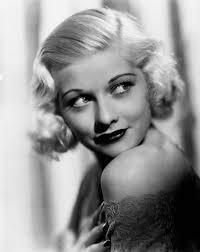 Lucille Ball’s ghost is also said to haunt the Hart building at Paramount Studios. This studio was once Desilu Studios-- where the I Love Lucy show was produced. Night watchmen at this studio have reported seeing her spirit in this building’s upper floors. Her present is always surrounded by the scent of a flowery perfume.